Fuji FP-100c Instant Film has been the only alternative Peel-A-part film available for Polaroid pack film cameras. This type of film said to be better quality and Polaroids original packfilm and for years used to Professionals for Testings during photo shoots. These ISO 100 color film works extremely well under many lighting conditions. Film size is 85(W) x 108(H) mm and Picture size is 73(W) x 95(H) mm. There are 10 exposure a single pack just like in a Polaroid instant film pack. This film is optimized for shooting under sunlight or electronic flash. You can not use this type of film for Polaroid 600, Polaroid SX-70 or Polaroid Spectra cameras. For those cameras only option is Impossible Project film packs. Film and photo format is different. Also these packs don’t come with battery. 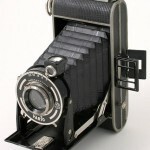 Fujifilm FP-100c is a high gloss color version. There is also a textured version called Fuji FP-100c SILK which is very rare these days. It’s next to impossible to film this textured version in market these days. If you are interested in Black & White film then check Fujifilm FP-3000B type. Unfortunately they have stopped producing FP-3000B film few years back. But still you can find these in market today. 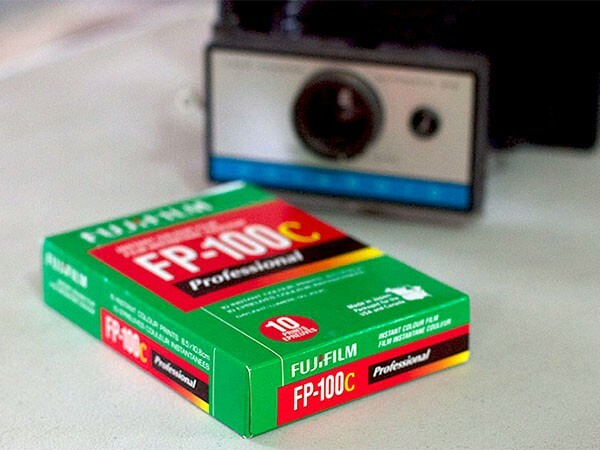 Sadly it looks like Fuji has finally decided to stop production of FP-100c film too. This has disappointed thousands of Polaroid fans who use pack film cameras and this type of film. There is even a Fan community has started under the name of savepackfilm and they are doing a petition against Fujis decision. There aren’t much hope for starting production again since there isn’t a high demand for the film. Maybe just hope someone will able to buy those machinery from Fuji and restart the production like Impossible Project did for Polaroid 600 film. So if you have one of these cameras you are lucky so far. These cheap Polaroid camera models can be bought for less than $20 from charity stops and ebay. 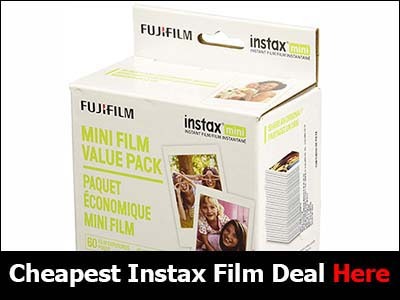 But if you are really looking for a good quality cheap instant camera then check latest Instax camera models. Polaroid has new instant digital camera models which let you save your images into a memory card or move to a computer. Popular Polaroid models in market today are Polaroid z340, Polaroid Snap and Polaroid Socialmatic Camera. New models use new Zero Ink Photo paper which is lot cheaper and more durable than old Polaroid film. Fujifilm Instax series has some really good cameras for cheap price. Check Models like Instax Mini 70, Instax Mini 90 or Instax 300 which use 3×4 format WIDE film. There is a cute Instax Hello Kitty Mini Camera for Hello Kitty fans and girls who like cute pink items.